Truffles are an underground fungi, a delicious delicacy, ounce for ounce, the most expensive food in the world, every year they are getting more expensive due to the scarcity and the difficulty in finding them. There is nothing that the farmer can do, you can’t seed Truffles, they only grow deep underground with the right ambient, climate and only in some specific areas. We would like to offer to our guests this year-round unique opportunity to get your hands dirty following the local expert and his truffle hunting dog around Chianti Classico vineyards surrounded by secular cypresses and feel the mystique and excitement of hunting for this precious delights. After a short drive from Florence or Siena our driver will take you to Badia a Passignano, a small medieval village, located in the heart of Tuscany that offers you the best traditional Tuscan fare and flavors, including depending on season the highly sought after White and Black Truffle. After taking part in this old tradition all your efforts will be finally rewarded by an amazing truffle-based lunch and perfect wine pairings at the local Ristoro Antica Scuderia Upon request the tasting of some of the best wines in the world at the Antinori Estate will be just the perfect conclusion to an extraordinary and fun filled experience surrounded by Tuscany’s rolling hills. Your private driver will pick you up at your hotel and take you on a pleasant drive through the Barolo wine country, a truly wonderful experience not to be missed. You will see the Langhe area with its fantastic landscapes of ancient castles, hilltop villages, nut trees, and the Nebbiolo vineyards. You’ll visit the charming village of Barolo enjoy a boutique winery with tastings of their superb wines. Time permitting after the winery you will visit the Barolo museum. 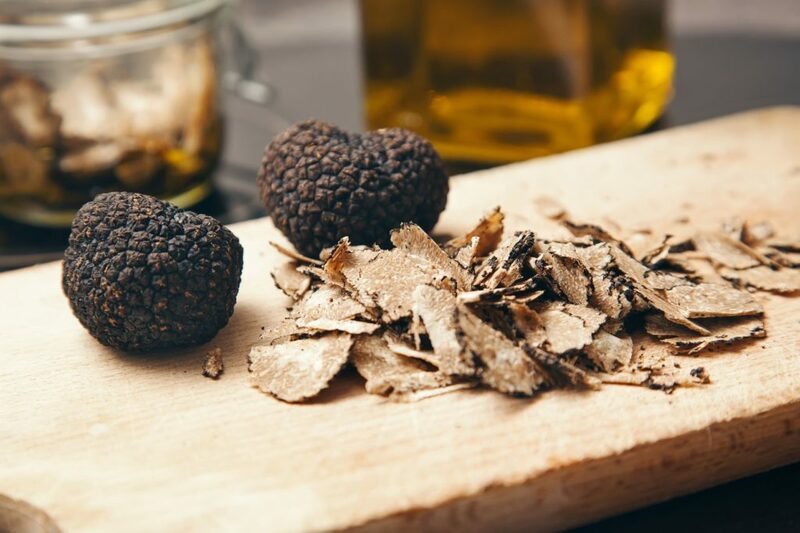 After a great lunch experiencing the local farmed products, the driver will take you on a ride through the astonishing hills on the Alps footsteps to Alba, the most famous truffle area in the world. Here you will meet the expert truffle hunter and, after a brief introduction, follow him on an exciting walk in the woods around area. You will learn all the secrets of this fascinating tradition and – luckily – find some of these precious tubers. After the hunt you will be having a tasting of the most prized, ounce per ounce, delicacy in the world, before heading back to your Hotel.